What Motivates Adult Students to Go Back to College? Is Pursuing Your Master's Degree Worth the Extra Student Loan Debt? A master's degree can advance your career and make your resume more marketable. Taking out what seems like endless amounts of loans to further your education may seem questionable at best -- especially in an uncertain job market. 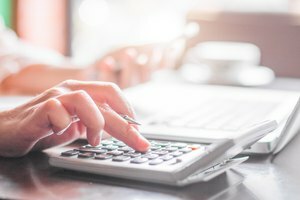 Although the extra debt a master's degree brings may seem staggering when you look at your current paycheck, the advantages that come with it could outweigh those future monthly payments. The higher your degree, the higher your income is likely to soar, according to the National Center for Education Statistics. For example, NCES notes that in 2011, graduates ages 25 through 34 with a bachelor's degree had an average yearly salary of $44,970, while those with a master's earned $59,230. This 32 percent difference illustrates the potential advantages advanced degrees provide. Although getting your graduate degree eventually may lead to a higher income, you'll need to understand your interest rate and repayment terms prior to making your decision. 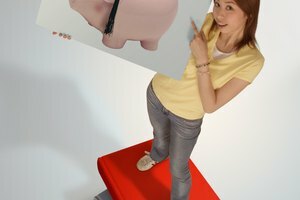 Federal loans -- such as a Direct Loan -- have interest rates set by the government. Rates on private loans vary depending on the lender. Younger students who recently have graduated from college may have a brief credit history and have trouble securing a low-interest loan. In contrast, a potential graduate student who has a positive credit history and a secure job may have the ability to find a low -- or at least lower -- interest rate when it comes to grad school loans. If ensuring a lower interest rate is essential to your comfort level in repaying your loans, you might want to consider working and building up a positive credit history between your bachelor's degree and graduate school. Although NCES statistics show those with master's degrees earn more on average, earning potential varies by career choice. For example, the median national yearly pay for an occupational therapist with a master's degree is $72,320. Other professions may pay much more, making your grad school loans easier to handle. The University of Buffalo's School of Nursing notes that graduates from master's-level nurse anesthesia programs can make as much as $120,000 annually. Keep in mind that these estimates may vary from actual salaries. All salaries are subject to local economic factors, employer budgets and regional variances. If your master's degree doesn't seem to pay off right from the start, you have options that may offset the costs of your education. 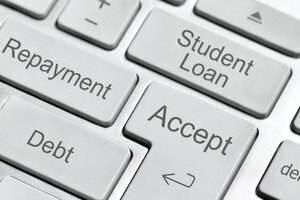 Understanding your repayment options can help you to decide whether grad school is in your future or not. Although waiting to pay back your loans isn't ideal, you can opt for flexible repayment programs. For example, the federal Income-Based Repayment Plan -- or IRB -- offers a plan that takes your income level into account. A program such as this allows you to manage your graduate school loan debt while you are working your way up to a higher-paying job. Another option is loan consolidation. While this lengthens your repayment schedule and results in spending more in the long run, your monthly payments can decrease. Occupational therapists earned a median annual salary of $81,910 in 2016, according to the U.S. Bureau of Labor Statistics. On the low end, occupational therapists earned a 25th percentile salary of $67,140, meaning 75 percent earned more than this amount. The 75th percentile salary is $99,300, meaning 25 percent earn more. In 2016, 130,400 people were employed in the U.S. as occupational therapists. What Are Student Loans Without a Cosigner? Loop, Erica. "Is Pursuing Your Master's Degree Worth the Extra Student Loan Debt?" Synonym, https://classroom.synonym.com/pursuing-masters-degree-worth-extra-student-loan-debt-35463.html. 26 September 2017.